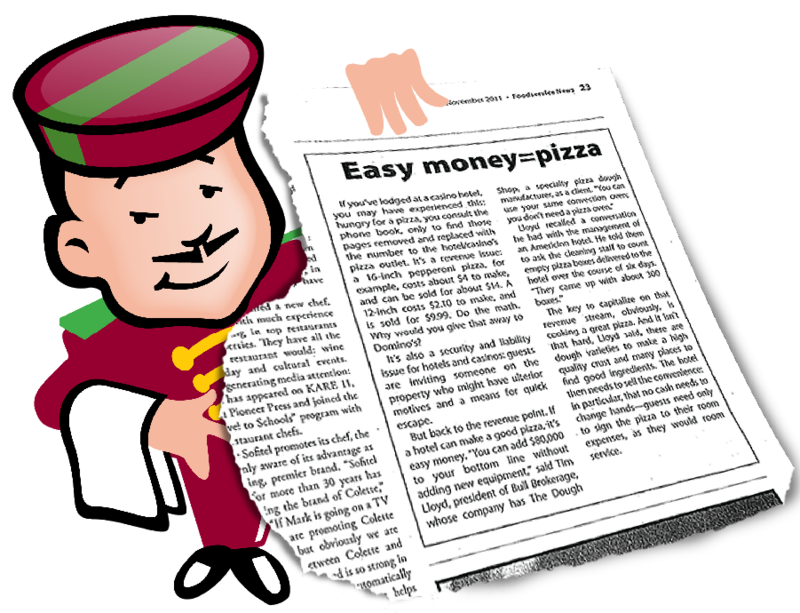 In November of 2011, Scott Uram came across an article in Foodservice News (MN) entitled: Easy money=pizza. The article described a hotel owner’s observation that during a six day period, his staff had collected about 300 empty pizza boxes and carried them to the trash. Those 300 empty boxes represented a significant lost stream of revenue. Soon after, Scott reached out to Scott Winer, President of the Minnesota Restaurant Association, to share with him his epiphany of creating a standalone “plug and play” Pizzeria franchise that could easily be set up with minimal capital and space requirements for existing businesses to add additional revenue or capture lost potential revenue. Together, these two experienced businessmen subsequently founded Pizza Bell Hop. Pizza Bell Hop’s (PBH) success is predicated on offering quality pizzeria style pizza made fresh and delivered fast. Utilizing extensive product testing, we developed a proprietary garlic and butter infused oven rising pizza crust, a proprietary 6 cheese blend, and a vine ripened fresh tomato sauce. After adding quality meats and vegetables, our pizzas cook in a custom oven programmed specially for PBH. The final product, a fresh delicious authentic crust pizza that cooks in less than 4 minutes. We have also added some amazing baked chicken wings and seasoned popcorn chicken. Pizza Bell Hop boasts an incredibly talented and experienced leadership team, quality pizza, and a fierce dedication to personal support and customer satisfaction. It’s the perfect recipe for success! For more information regarding Pizza Bell Hop franchise opportunities, please click here to visit our Franchise Page.